Many well known authors live a double life, one under their real name and the other as a ghostwriter. 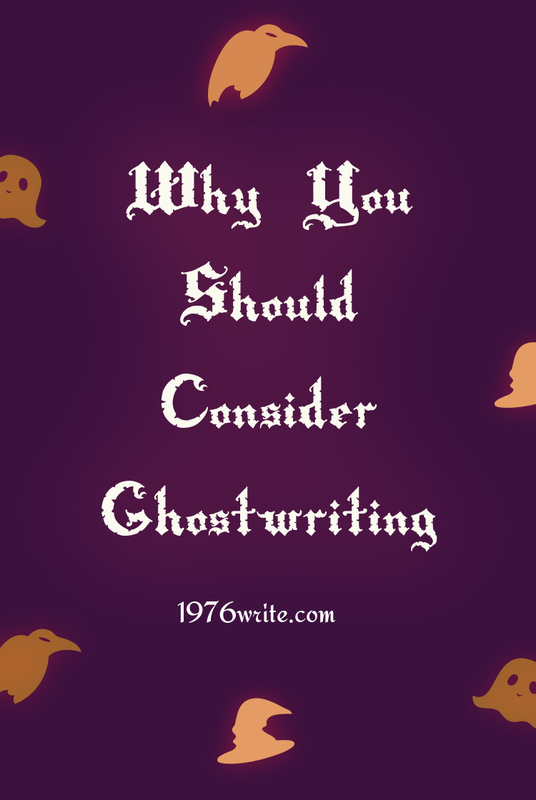 You may well ask, why do they ghostwrite? The obvious answer is, the money, being paid a fair rate for their much needed skill as a writer. Sounds crazy in a time when authors are struggling to earn a decent crust from book sales. Journalists can also be counted in alongside the many ghostwriters working today. Many magazines and publications are halving their running costs by staff go. Ghostwriters need to produce manuscripts quickly, gather information from all manner of sources and people, in order to write their book manuscripts. Ghostwriting is more than just celebrities and memoirs, its full of opportunities if you know where to look. Ghostwriters can be found in fiction, from H.P. Lovecraft to Raymond Benson (Tom Clancy's Splinter Cell). This kind of fictional writing takes time to perfect, and doesn't happen overnight. Apart from the money, a ghostwritten book is quick to research. You usually don't work alone, gleaning all your information from your client, you'll feel every cent you've earned by the end of it. Literary and entertainment agents are always on the look out for ghostwriters. A helping hand may be required, by a writer to sell their manuscript to a publisher. Book proposals play a significant part in a ghostwriters work. 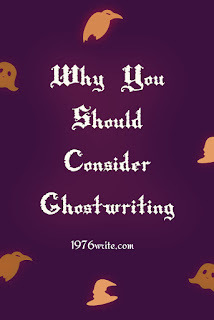 Why Should I Be a Ghostwriter? Time keeping is also vital, deadlines need to be met at all times. There'll always be someone in the background with their eye on the clock before they give a ghostwriter any money. Express is often the name of the game when it comes to ghostwritten books. Earning trust and drawing information out of people, are skills every good ghostwriter needs. It's all fine and dandy when you get along with your client, but really difficult if you're constantly butting heads. Have enough respect for your client to draw out the information you required. Your identity disappears when you start writing for someone else, you're able to finish the manuscript, slipping away quietly, lips tightly sealed knowing lots of secrets and telling know one. Ghostwriting lets you explore many genres of writing, from content writing to fiction book writing. You'll stretch yourself ,your own capabilities, and have new challenges thrown at you regularly. High profile people, blogs and websites are looking for good writers they can count on to write information that brings in traffic, and ghostwriters are no exception. Ghostwriting has a reputation for being book based, but these days its no longer the case. There is a plentiful supply of work from copywriting, white paper writing, book, ebook writing, case study writing and technical writing. Start out with the people you already know in your own writing and publishing community, let them know your interested in ghostwriting work.